The second model in Sota series came to review, Comet with the factory S303 tone arm. In the offer from Sota are the following models(from the most advanced to the basic): Millennia, Cosmos, Nova, Star, Sapphire, Jewel, Satellite, Comet and Moonbeam. The first four models have a vacuum mat. 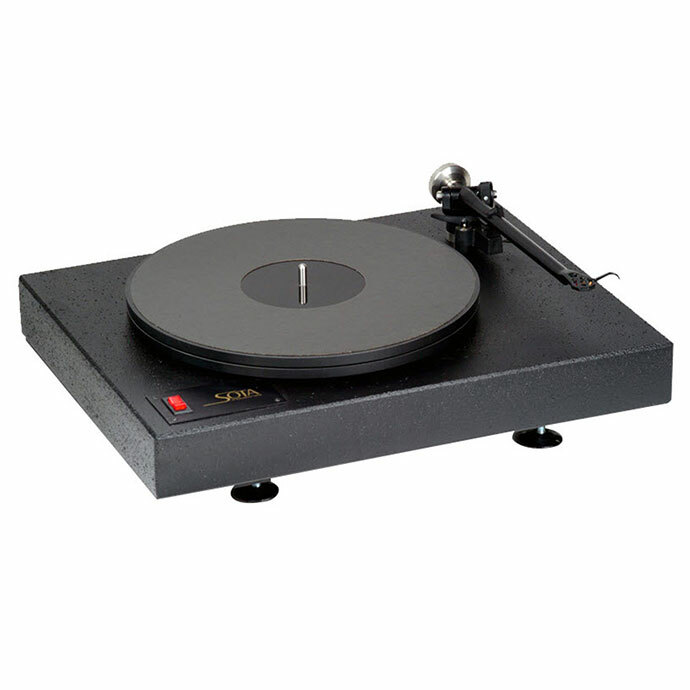 The first Sota turntable was offered in the market in 1982 under the name Sapphire. It was quickly recognized as a great device and, in the midst of the digital era, inspired the fans of analogy. For music lovers who have retained their precious vinyl collections, the turntables have never been dropped into the dustbin of unnecessary and unwanted devices, but have always been used as a source of truly natural music reproduction. Although the production and sale of the LP records has diminished and became quite marginal, for many the reproduction of the vinyl remained the standard for measuring the quality of all new devices and sound carriers. Moreover, the designers of the turntables still revised their designs, applied new materials and technology, and maintained the offer of live music, more diverse and better than ever. Many CD players of that time aspired to mimic vinyl, and today, after the shift of generations, the youngest have no experience with the finest turntable combinations – turntables, these emperors of analogy reproduce music from (digitally) newly-recorded and remastered records in the quality of a mid-CD player. 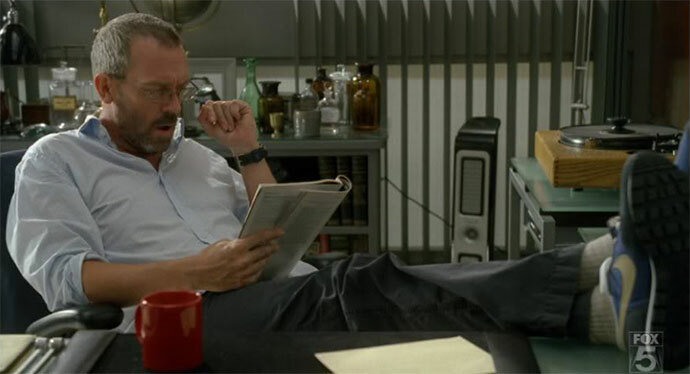 Of course, for a new generations a standard of good reproduction is compact disc, computer, or MP3 compressed records. However, today’s technologies have led to high-quality reproduction from the PC with the help of more advanced streamers / DA inverters, high resolution shots, and bypassing computer sound cards. Sota Sapphire was in its time the only high-end turntable produced in America and, thanks to excellent sales results, has inspired many to begin construction and production. Partly owned by Kirin and Donna Bodinet, today SOTA (State Of The Art) is a respectable producer of not only turntables but also record cleaners, dealing with service, repairs, upgrades, modification and sale of parts and accessories related to reproduction of the records. The design team, apart from the above, consists from: David Fletcher, an electronics designer and analogue reproduction physics consultant, Jack Shafton and John Gilmore. Everyone was involved in the design of Comet, Moonbeam, Millenia’s turntable and both models of record cleaners. Today’s products with their quality continue the tradition, and thanks to post-marketing and maintenance, the number of satisfied customers is growing. Today, when the turntables and vinyl records are coming back, in the case of Sota we can not talk about returning to the scene but about taking the place that belongs to Sota all the time – at the top. As production of tone arms, which would follow the turntables with its quality, is very demanding and painstaking, intelligent manufacturers take modified tone arms of proven quality and mount them on their turntables. The Comet is by standard supplied with the Rega S303 tone arm which proved to be a very good combination. Thanks to the new material, turntable manufacturers are fighting vibration by choosing and combining the material, and less often with suspended sub-chassis. The Comet housing is made from a thick piece of composite shining finishing and even better interior vibration damping. Such a housing, with the help of three feet, which is made of a sticky absorbent polymer, is resistant to the effect of vibration from the environment. Asynchronous 24-pole motor over a rubber strap drive a hard-shell sub platter with a sharp focusing direction. On top of that it comes a black platter made with sandwich technique. Sandwich of a a sub platter and the platter are two layers of plexiglass between which is a layer of high density polymers with high absorbent abilities. The bearing cup is made of a material called Turcit, self-extinguishing polymer teflon impregnated. Unlike many turntables with a similar construction Comet is relatively insensitive to positioning in the listening room. We do not have to waste the words about Rega 303, because we know more or less everything about this great product. 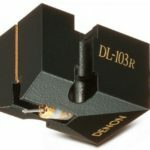 The only probable defect is the impossibility of adjusting VTA (as it is called the SRA – Stylus Rack Angle today), but it is possible to intervene with attached pads (placed under the screws that secure the bearinf of the tone arm). Theoretically and practically, VTA is an important parameter, but the theory quickly falls into the water. Due to the different thicknesses of the records VTA is constantly changing. For perfect adjustment, it would be necessary to fix it for each record, which is exceptionally difficult to perform. So set the tone arm to the height where the VTA will be right for the thickness of most of the records in the collection and enjoy the music. 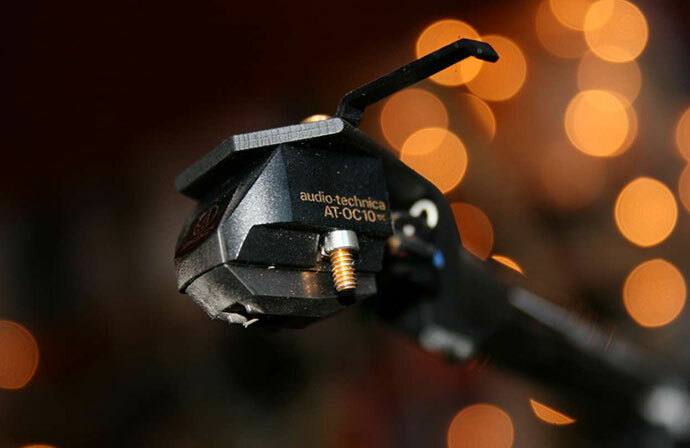 For this review we used Audio Technica OC10 tone arm, compliance 9×10-6 cm/Dyn, 0,4 mV output voltage. The impedance is set to 100 ohms and a torque of 1.6 g.
The first thing that struck in the ears was the dark background from which the music came from. Microdynamics immediately shone in the audible and recognizable interplay of quietly playing instruments, smooth and effortless. Throughout the hallowed area, the order, the serenity and the collaboration of musicians reigned, and the leading instruments and/or singers stepped into the space. Although the soloists dominated(of course, depending on the recording), the orchestra in the background did not lose its clarity and detail. All shades were recognizable and smooth. The central area, where much of the music is happening, was seamlessly integrated with the edges, smooth and flowing. The combination of the turntable, tone arm and the cartridge clearly revealed even the slightest differences in the production, clearly outlining all three dimensions of the music player’s space. Part of the merit can certainly be allocated to the tone arm, but we must not forget that the turntable and the tonearm must prevent the generation and regeneration of any parasitic vibrations that would reach the needle/cartrdige and cause their unwanted motion and, consequently, reproduce information not recorded on the vinyl . In addition, the turntable must maintain a constant speed without any fluctuation of any kind, which makes no problem for Comet. SOTA COMET Turntable with REGA S-303 Tonearm with Dustcover-High Gloss Black-Made in USA! Piano keystrokes, tone duration, and disappearance in the darkness of the background are very lively, with no fluctuations or deformations. Particularly impressive are the brass sections that retain the desirable amount of flicker and sound power, and the player’s technique is clear and sparkling. A low quality turntable combination would have the problem of excessive aggressiveness and unabashed painful puckering, especially the trumpet. Confirmation that Comet is excellent turntable came when we were playing a brilliant record of Stimela from Hugh Masekele’s Hope album. Technique, tone hold, stacated parts and play dynamics are flawless. Equally gloomy is the glamor of the great jazz orchestra of Harry James from the King James Version record, where the strong wind instruments sound breaks everything in front of him. Kick of the bass drum pedal, a sharp twitches of thick double bass wires, depth of the tubes are controlled, deep and vibrant. Holding tons and duration have contributed to the distinguishing the type and strength of the percussion, and the cymbals had the right size to clearly articulate the type and size of the stick or the brush and the part of the cymbal to which it struck. The strings are shrill and humble, well positioned in space. With the rest of the orchestra, the harmony was achieved with a clear distinction between the wind instrument group. Human voices are richly painted, clear sounding. The choirs are recognizable and well-ranked by height. Sota Comet accompanied with in S303 does not equalizes different recordings and productions, but reproduces an important but not drastic difference. Through the multi-week listening of different music from different records, the combination has shown that today they are producing turntable music that is reproduced in the same analogous way that older audiophiles like to remember and younger, unfortunately, do not know. If you want a turntable that plays music the way a turntable should and does not match new standards and tastes, this combination should certainly be taken seriously. Trainees of new trends, where turntable and vinyl sound carriers reproduce music that has lost analogity in precision and comes from digital sources, should happily look elsewhere. Comet and S303 make this kit easy to handle and instead of endless distress in search for perfect geometry indulge in the long and cheerful enjoyment of music. Do not forget that with the purchase of turntable all the problems of faithful reproduction are not resolved. We all know that the chain is strong as strong as the weakest link. 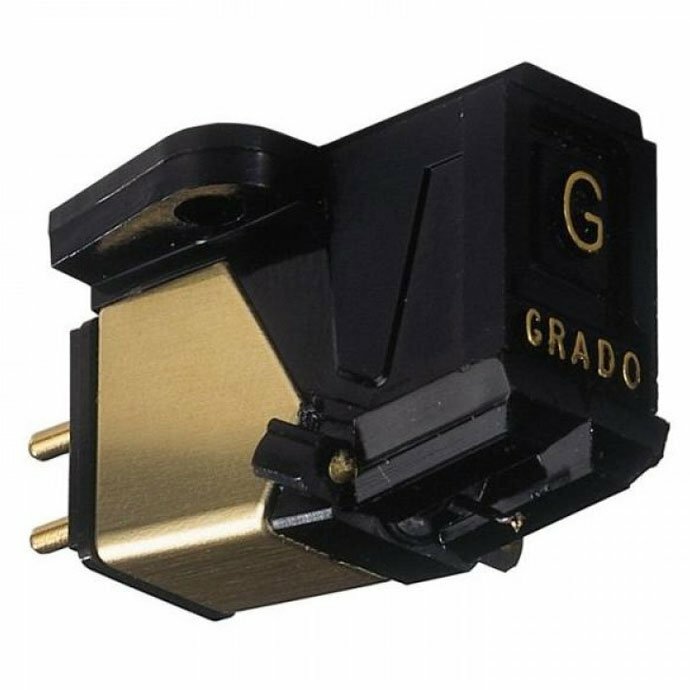 Accordingly it is necessary to carefully select the cartridge and at the end, but not least, a better phono preamp that will guarantee that the weak signal will be amplified as well as with the correct and accurate RIAA equalization. Only then will all the components of this great source of analogue sound achieve results above expectations. Can it be better? Of course! But for that price, hard.